Some bumblebees are sporting little backpacks, all in the name of science. LONDON, England -- Some bumblebees are sporting little backpacks, all in the name of science. The backpack is actually a tiny metal tracking device. 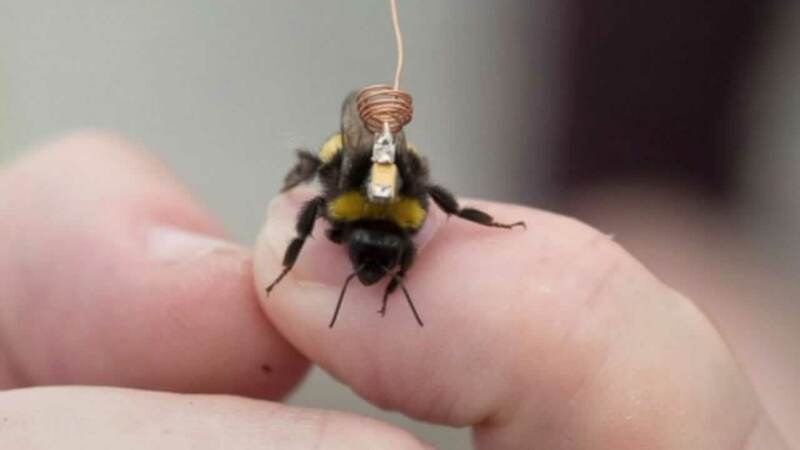 Ecologists in London had to use tweezers to suit up each bumblebee with the technology. The backpacks are being used to map their behavior. Researchers hope the information will help them understand why the bee population is struggling to survive and how to reverse the decline.